It’s never a good idea to undertake any major project without a well thought out plan. No one would ever try to build a house without a blueprint, but many landowners try to manage their properties without a long term plan. Our custom wildlife management plans are developed by MRM’s wildlife biologist and are designed to give you everything you need to realize and obtain your long term management g oals. 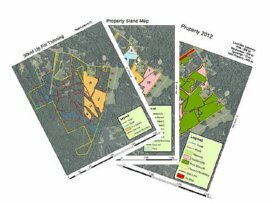 MRM’s professional wildlife management plans are individually developed for each property and include high quality GIS mapping, site specific habitat management recommendations, custom burn plans for your property, management calendars, cost share opportunities, soil tests , food plot planting recommendations, and much more. Call and ask about a custom management plan for your property today.